Most enthusiasts felt Apple was being generous when the company decided to give each new iCloud user 5GB of free online storage space. Cloud storage service Box.net has been in the business a little longer than Apple, and the company has announced its plans to offer ten times the amount of storage for iOS users. If you download the free Box.net application for the iPhone, iPad, or iPod Touch, you now get 50GB of storage space – free of charge. The company is also increasing file size limits from 25MB to 100MB for iOS users. 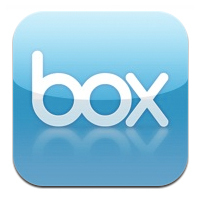 Box allows for the storage of photos, music, videos and documents “in the cloud”. Registered users can use the Box iOS application to view their files on just about any mobile device or web browser. The company also offered the same deal to HP TouchPad customers, despite Hewlett Packard ending production of the tablet not even two months after its launch. Anyone who signs up for the cloud service within the next 50 days will receive their 50GB of free storage.